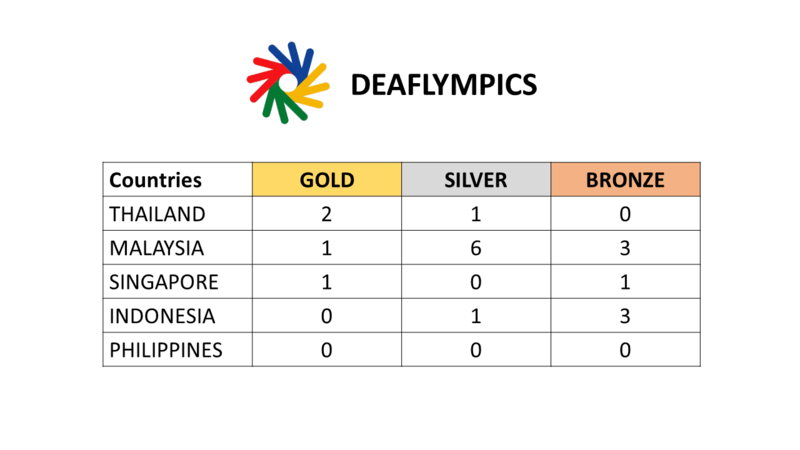 The medal tally below states the achievement of medals won by ASEAN countries since Deaflympics 2001. 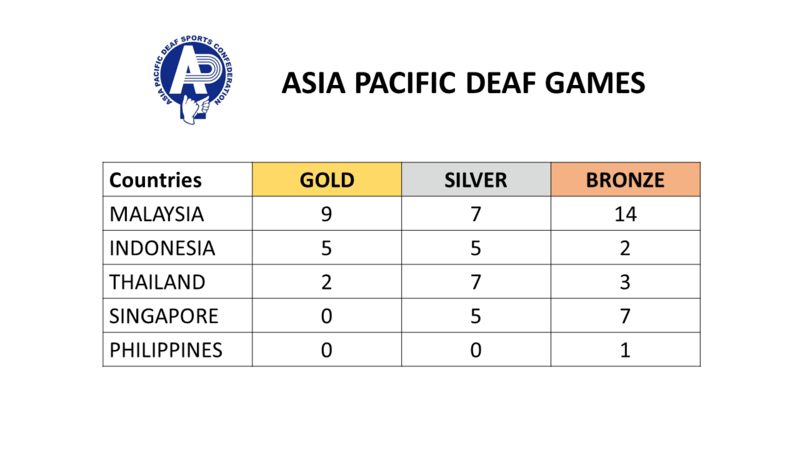 The medal tally below states the achievement of medals won by ASEAN countries since Asia Pacific Deaf Games 1996. © 2018-2019 ASEAN Deaf Sports Federation | All rights reserved.